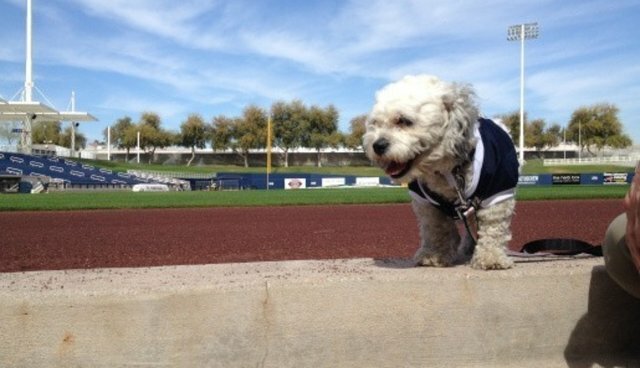 A staff member took Hank to the vet where he received his shots and a bath, but this little scrapper's jersey will never be spotless. His white uniform looks to be permanently shaded a little on the gray side in places, but when you get to know this little fella's personality, you see it's a perfect fit. 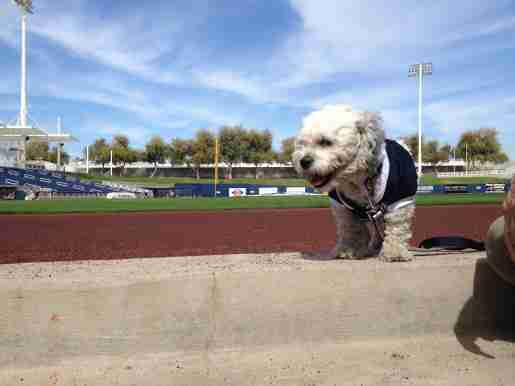 Hank spends each day roaming offices and playing fields, visiting with everyone from Doug Melvin, Ron Roenicke, players and coaches to ticket office and concessions staff. 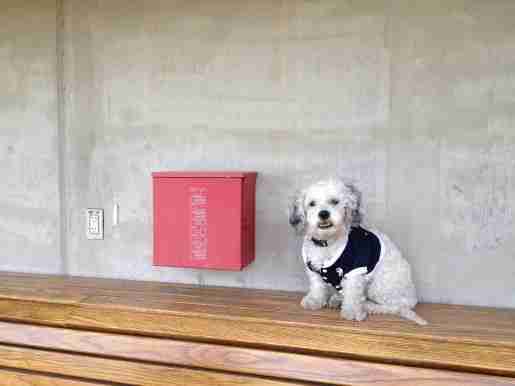 Hank is going home with members of the organization each night to a warm bed, and he recently completed a day at the Team Store where he picked out his favorite styles from the latest Brewers pet gear. Now, Hank's days of being homeless are in the past. "One way or another he'll continue to be well taken care of," the team announced on their website.